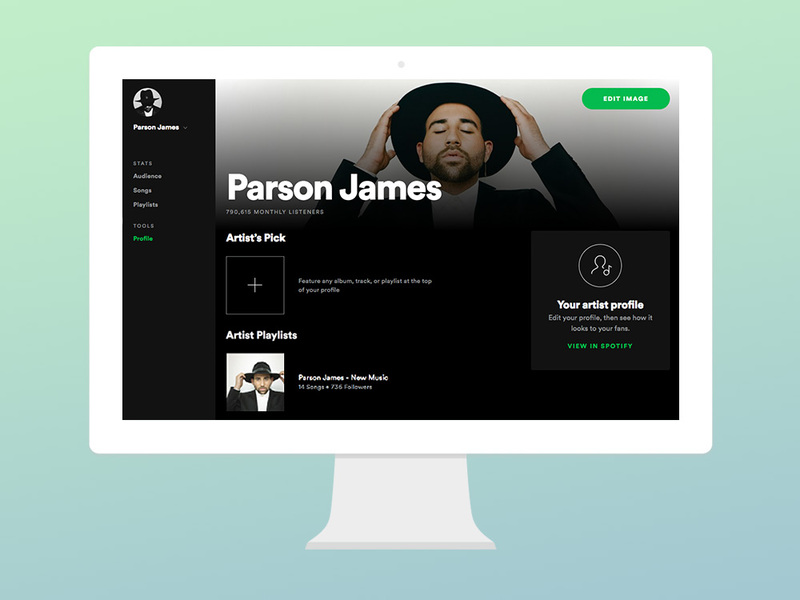 With Spotify for Artists, you can see who’s listening to your music and take control of your artist profile. As part of the Spotify for Artists community, you'll also be the first to know when we create new tools and features for artists. Just click Claim Your Profile in the top-right of this page. Once we confirm who you are and give you access, you’re in charge. Getting verified on Spotify lets your fans know that your artist profile belongs to you. When you get access to Spotify for Artists, you’re automatically verified on Spotify and your profile gets a blue verification check mark. If you use CD Baby, Distrokid, or EmuBands to upload your music to Spotify, you get instant access to Spotify for Artists. Log in to your account with one of those distributors to get started, and you’ll have a blue check mark in minutes. Access Spotify for Artists on the go. Access Spotify for Artists wherever you are by downloading the app. iOS users can find it by visiting the App Store, while Android users can find it in the Play Store. The app is designed to help you get ready, manage and track your new release. Get your profile new-release ready. 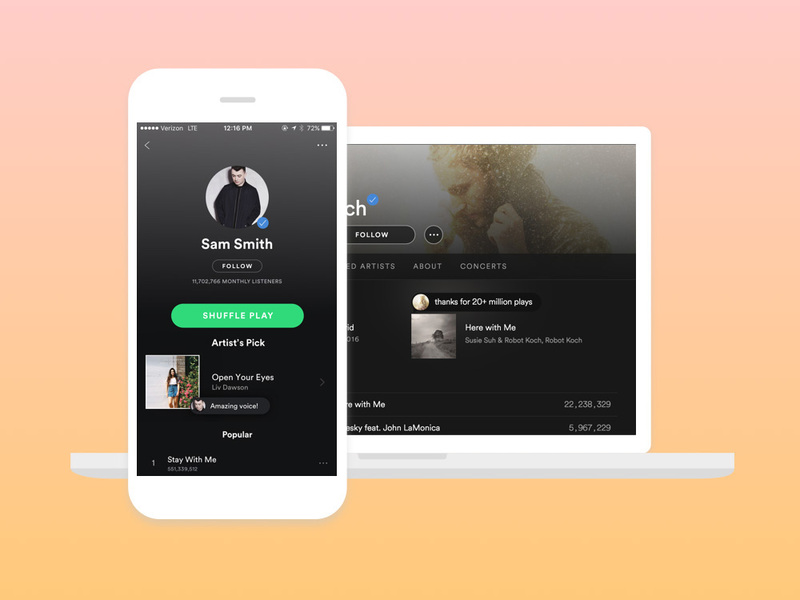 Update your bio, share your playlists, promote your music, and control how listeners see you on Spotify. Follow your release as it grows, all in real time. See who's tuning in and get live updates on your new release, whether you’re on the road or in the studio. Learn about your listeners. Understand who's listening and where to book gigs—whether you're playing a few shows or planning a full tour. 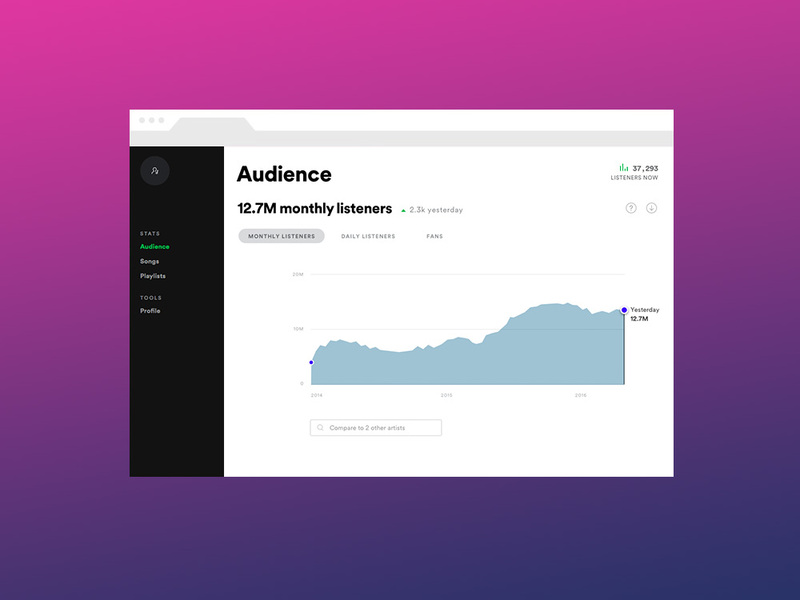 With access to Spotify for Artists, you’ll be able to track which of your songs are performing best and learn how fans are discovering and listening to your music around the world. Your stats can help you run promotional campaigns, pick new singles, or even route your next tour. Take control of your profile. 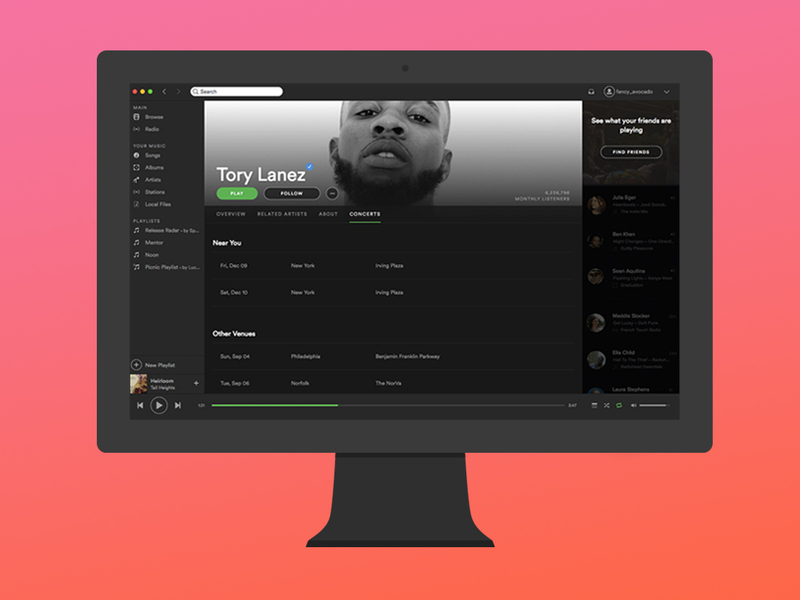 Your artist profile on Spotify is where all of your music and content lives. It’s also where fans can discover more about what’s happening with you—hear your newest releases, dig deeper with one of your playlists, find out where you’re touring, even buy your latest merch. 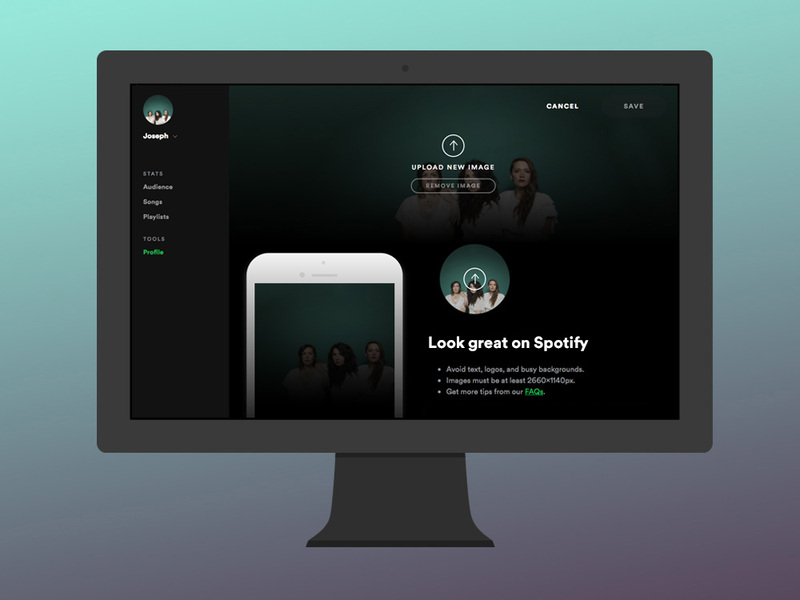 Spotify for Artists puts you in charge of your profile—so you can update your image to reflect your latest look and tell fans about the music you’re into right now. Fans on Spotify see your profile image whenever they search for you or visit your profile on any device. 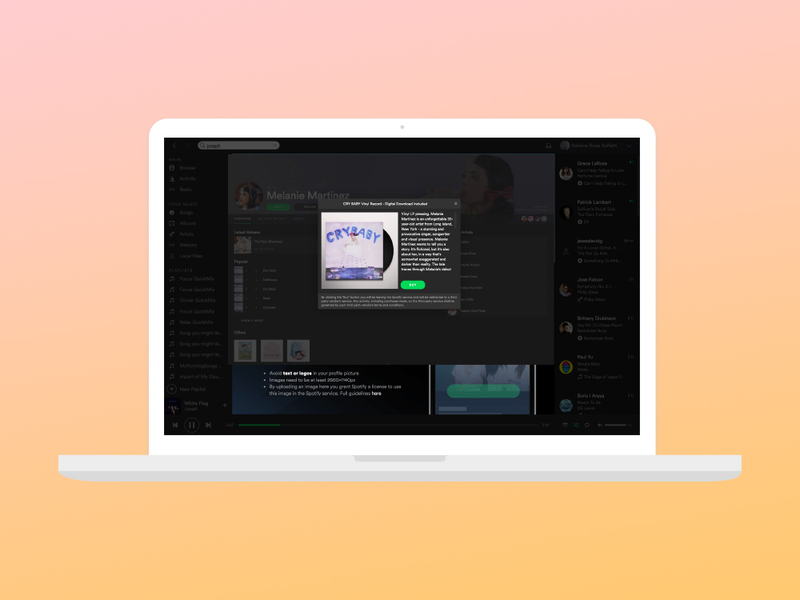 While default images are pulled from Rovi’s database, Spotify for Artists makes it easy to upload a new image anytime you want—so your profile always reflects your unique identity. How to edit your artist bio on Spotify. Your artist bio is your story—in your own words. With Spotify for Artists, you can write a bio, save it to your profile, and update it anytime you want. With 1500 characters to share with your fans, you can update this to whatever makes sense for you—whether that’s sharing your story as an artist or the inspiration behind your latest release. Artist’s pick gives you control over the music at the top of your artist profile. It’s a great way to tell fans about a track you’re featured on, announce your upcoming tour, showcase a new playlist, or shout out an album you’ve got on repeat. Pick something you love — any track, album, podcast, or playlist — then add a cool behind-the-scenes image and short message about why you love it. Your artist’s pick lives at the top of your profile for two weeks (or if you pick a tour, until the day after the last show) and you can change it anytime you want. By featuring playlists on your artist profile, you can give your fans an inside look at the music you love and the songs that inspire you. Artists like Diplo have built huge playlist followings, which they use to promote their own music, share the songs they’re playing on tour, and champion the new artists they discover. 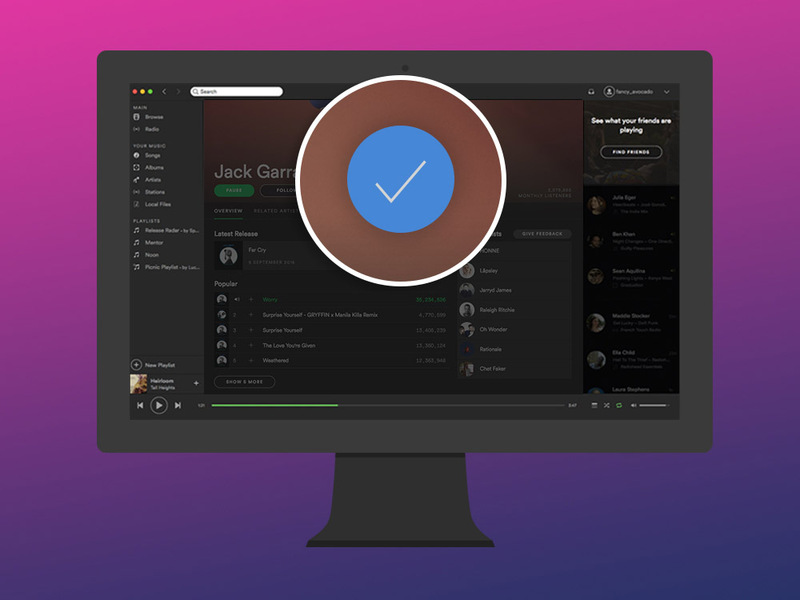 Learn more about adding playlists to your artist profile. You want Spotify listeners to know whenever you’re in town. That’s why we work with Ticketmaster, Songkick, Eventbrite, and AXS to feature tour dates on your profile. We also recommend your nearby shows to your followers and frequent listeners over email and inside the Spotify app. We do whatever we can to help spread the word. If you don't have your dates listed on Spotify, go to Songkick Tourbox to add your concerts. Whether it’s t-shirts, vinyl, or custom leggings, fans love artist-branded merch. You can sell your gear directly to fans around the world through our partnership with Merchbar. Once your merch is listed, top products automatically populate on your Spotify artist profile for fans to browse and buy. Merchbar works with most major labels and merchandise companies, so there's a good chance your gear is already on your profile. If you manage your merchandise independently, learn more about joining Merchbar here.